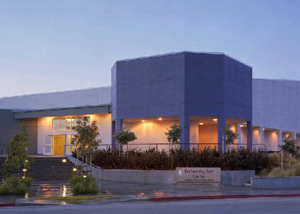 It is the policy of the San Mateo-Foster City School District that the theatre at Bayside be used primarily for educational purposes. Educational purposes include serving as a performance venue for music, dance, drama, and other arts programs in the District’s schools; serving as an auditorium for assemblies, professional development, lectures, and ceremonial events, such as graduations; and serving as a facility to support the teaching of the arts and audience behavior skills. It is the District’s intent that the theatre will also support other District-wide purposes. Community use of the theatre on an occasional basis will be provided when not needed for school and District purposes. It is the goal of the Board of Trustees that the theater be self-supporting. A fee schedule is to be established that includes operational, administrative, and depreciation costs. The Superintendent or designee shall develop and publish annually fees for usage, scheduling procedures, and operational policies. The Superintendent or designee is responsible for all theatre operations. Wheelchair and handicap access is available in the last center row of the theater. The 8’x8’ loading door is located on the west side of the theatre. The grand drape is made of peacock green velour, rigged to guillotine or bi-part. The grand drape does not Austrian. Proscenium opening: The width of the proscenium is flexible. The wood vertical proscenium panels track to create an opening with the range between 30’ and 50’ wide. The height of the proscenium opening is 20’. Stage area: 1500 plus sq. ft.
To Downstage Edge of Curved Apron (Orchestra Pit Cover): 16’ at center. All lighting and sound equipment will be operated by Bayside Performing Arts Center Staff except in cases of prior approval. All lighting designs and sound requirements must be approved by the Center at least four (4) weeks prior to load-in. Changes may be made up to (2) weeks prior to load-in, but are subject to late fees. In order for your production to run smoothly, a pre-production meeting with the Center must be scheduled at least four (4) weeks prior to load-in. Please call to schedule the meeting. One (1) set of paperwork to include: a Line Set Schedule, a Circuit Plan, a House Lighting Plot and surplus inventory will be given to Lessee if required with additional sets costing $25.00/each. The House Lighting Plot is permanent but may be altered. Any changes to the House Lighting Plot must be approved by the facility supervisor and must be restored by the Lessee. Do not remove or trade connectors or clamps from lighting instruments or cables without the express permission of the Center. Do not overload cable, connectors, circuits or dimmer capacity. Approved electricians are personally liable for damage from improperly installed lighting equipment. Please tighten all clamps and adjustment screws. The grand drape must close without interference from any cable or set units. At no time are guests allowed in the booth. Only one (1) member from the producing organization may be in the control booth with a maximum of three technicians. Please make arrangements prior to your event for proper procedures while in control booth. The Center can provide a lighting designer for an additional fee. If the Center’s lighting designer is contracted to design, an extra day must be added to the space rental for hang, focus, and cue writing. On the added day, the performance space will be dedicated solely for this purpose and scenery load-in/rehearsals will not take place. A date for Strike and Restoration of the Center and its equipment.